Our next project is our garden – now the weather’s improving we’re looking forward to spending a lot more time out here. 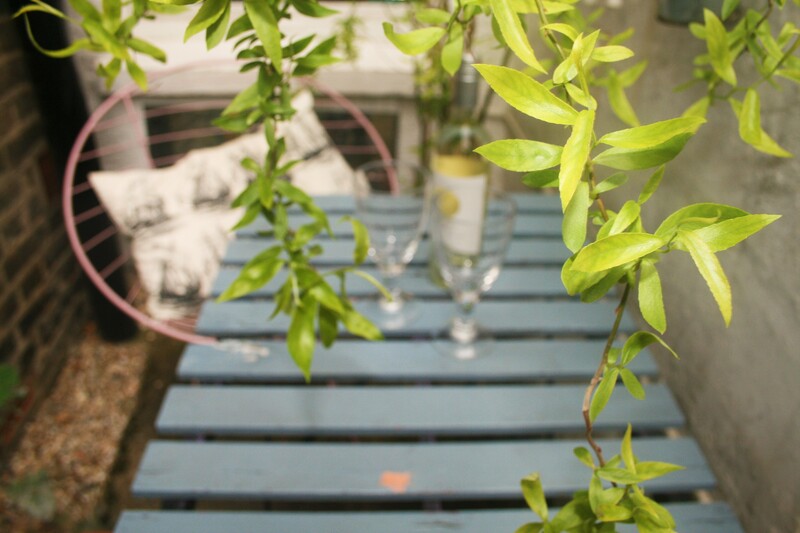 A garden is a bit of a luxury when you rent in London so we’d like to make the most of it. Neither of us are green fingered so we thought we’d get the furniture right before we try and grow anything. 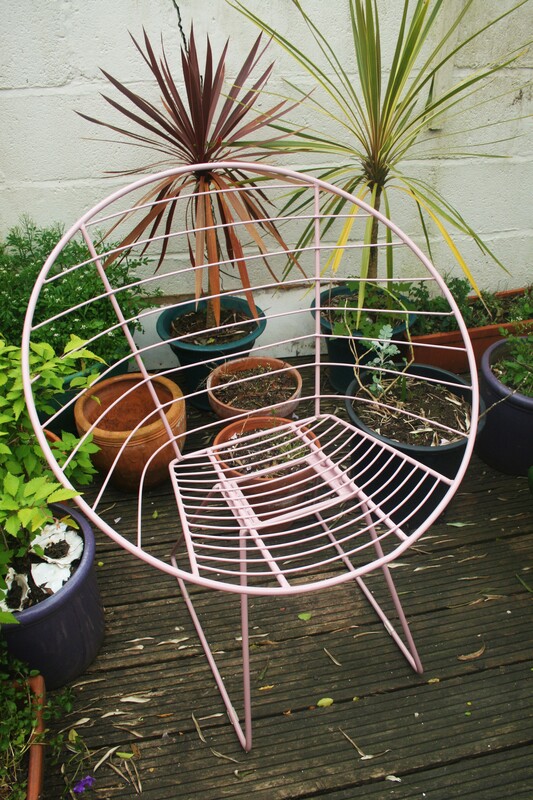 While at Maison & Objet Mark spotted a lot of wire furniture as well as a trend of rose gold so when we were introduced to these Big Circle Garden Chairs from Out There Interiors we just couldn’t resist and knew they’d be perfect in our little outdoor space. 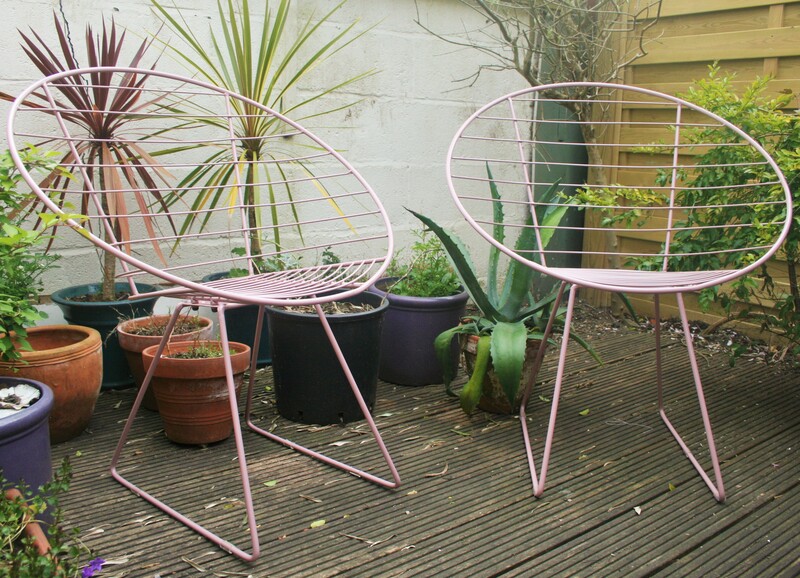 We’re planning to host many a barbecue and afternoon drinks this Summer so the more chairs the better for us. We currently have a lovely, yet weathered, table and chair set which was already here when we moved in so having the addition of two more chairs is ideal. We love the size of the chairs and the sleek look they have from both the front and the profile and we’re looking forward to getting some comfy outdoor cushions just to finish them off. 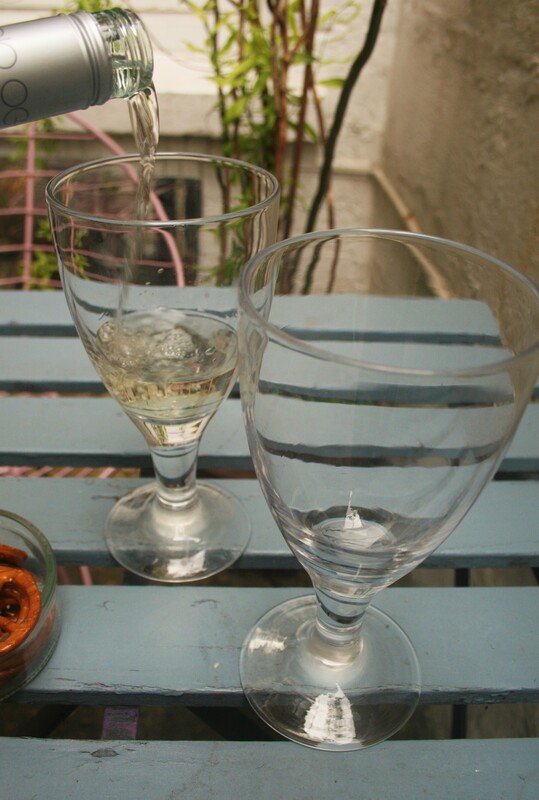 We’ve toyed around with where to place them in the garden and think they sit wonderfully against the white walls and on the wooden decking and couldn’t resist pouring a glass of white (although perhaps it should of been rosé), sitting back and enjoying the Spring heat. *This post is a collaboration with Out There Interiors. For more information on working with us, head here.